Developed by Microsoft, Games SDK allowed developers to create smooth animation and sound that Windows couldn't normally handle. 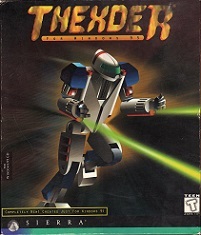 It was the first version of DirectX, which was released in September 1995 as the Windows Games SDK. It was the Win32 replacement for the DCI and WinG APIs for Windows 3.1.